Check out the news ​stories from 2015 below. 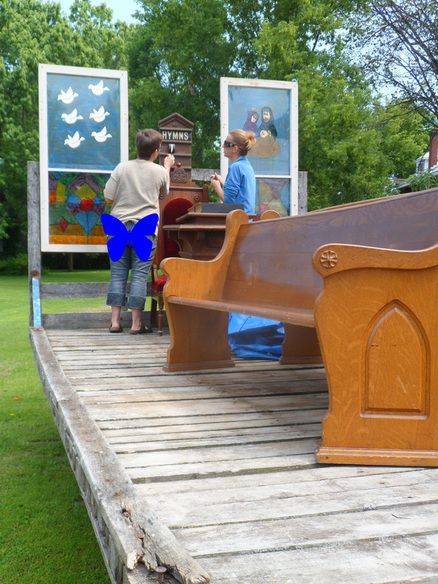 ​You'll read about concerts, Canada Day celebrations, our 175th Anniversary Dance, Jeff's Covenanting Service and much more. Back by popular demand our second “Worship in a Different Key” was a huge success. A pancake breakfast, hosted by the men of St. Andrew’s, was followed by worship service celebrating Pentecost. It was also the last week of Sunday School before the summer break. Spirits were renewed, tummies were filled and children were sent off to enjoy their summer break. Celebrating the Church's Birthday on Pentecost. 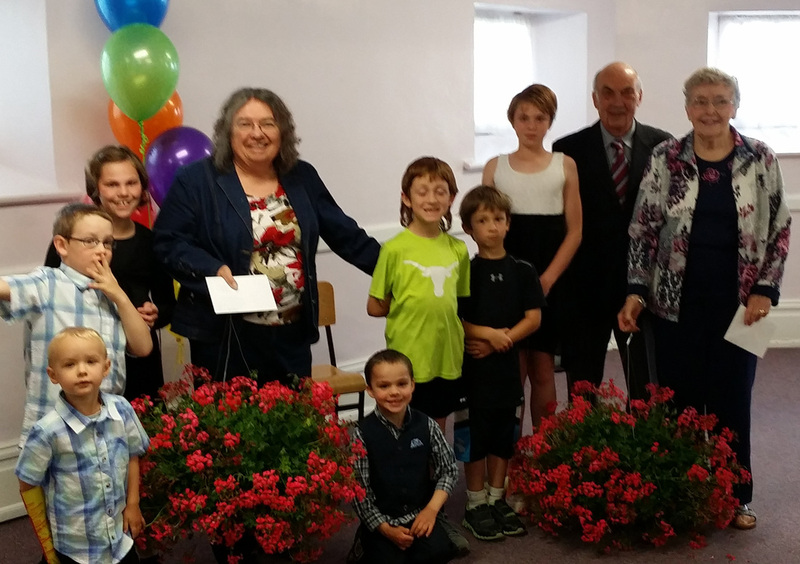 The Sunday School children say thank you to Mary Ellen and Bronwen. On Saturday, June 6, 2015 at 2 pm the Sanctuary Choir hosted a concert featuring St. Andrew's Director of Music, Ian Guenette. Ian entertained a very appreciative audience with an eclectic mix of pieces from baroque to jazz and everything in between. The sanctuary was flooded with glorious music and sunlight from the stained glass windows. Ian's second set included two fabulous interpretations of Oscar Peterson's Jazz Exercise no. 2 and no. 3 and two pieces dedicated to audience participation. To round out the program Ian welcomed the vocal ensemble Tutti. 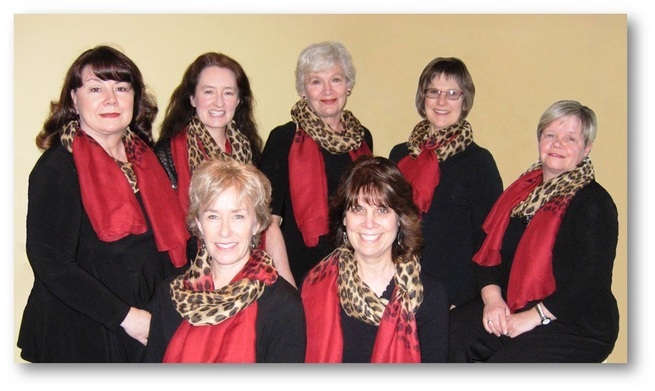 Tutti, formed in 2014, comprises singers from Pakenham, Arnprior, Renfrew and Eganville. Tutti is directed by Lisa Webber, a well known mezzo soprano soloist, private voice teacher and choral conductor. The ensemble presented a variety of classical, old favourites and folk songs. ​And after the concert the audience joined Ian for a reception where they enjoyed ice cream floats and cookies. Attendees made generous free will donations that will be dedicated to upgrading our sound system. Canada Day may be the federal holiday celebrating the union of the colonies of New Brunswick, Nova Scotia, and the United Province of Canada into a single country called Canada, but in Pakenham it is the day we celebrate our heritage and our tightly knit farming community. 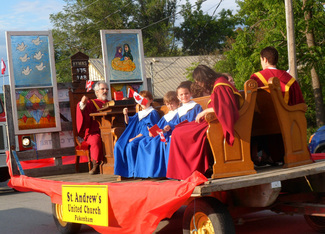 In Mississippi Mills, Canada Day is a two-day extravaganza starting in Pakenham on June 30th. Festivities kick off on June 30th with a BBQ hosted by the RBC, kids activities at the Stewart Community Centre and the ever popular Canada Day parade. This year the parade was one of the best in recent memory. Three were so many entries that the line made it all the way around town so there was no gap between the first go ‘round and the second. 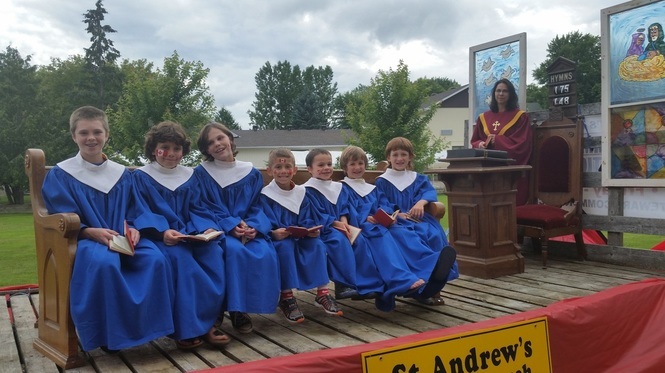 We are happy to report that the St. Andrew’s float “All God’s Creatures Got a Place in the Choir” was a huge success with the Sunday School children and parade watchers alike. Our sincere thanks to Julie (Wilson) and her merry band of helpers for leading the charge and making it happen. The Pakenham fun continued this year with the Fireman’s BBQ at the Fire Hall, more entertainment and kid’s activities at Stewart Community Centre and then the grand finale of fireworks. 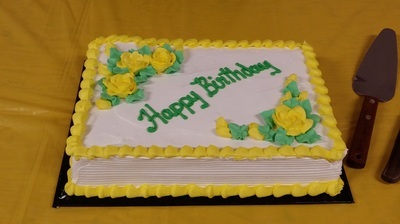 It was a time to celebrate and give joyful thanks for family, friends and neighbours. Generations since 1820 have come together in Pakenham not only for worship but for fellowship and community. They came together again at the Stewart Arena on Friday, July 24, 2015 to help St. Andrew’s United Church celebrate its 175th Anniversary. Guests were delighted to be welcomed at the front door by several generations of the Gillan and Wilson families, all dressed in period costume. In particular, the Gillan family was represented by all generations between Mary (Gillan) Scott, 4th generation, aged 99 and Ella Gardner, eighth generation, aged seven months. 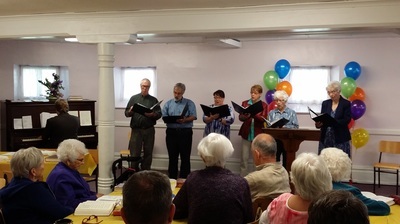 A history "pop-up" on Friday night showcased the fascinating early history of the church from 1840, when the first congregation of St. Andrew’s gathered together for worship. Since the very beginning when Rev. Dr. Alexander Mann arrived from Scotland in 1840, St. Andrew’s has been blessed with dedicated ministers. It was a thrill then on Friday to welcome and catch up with past Ministers the Reverends Heather Kinkaid and Debbie Roi and their husbands Emerson and John. It was also a great opportunity for people in the area to meet St. Andrew’s new Minister Rev. Jeff de Jonge and his wife Michele. Folks enjoyed dancing and listening to old favourites from The Ryan Brothers and Doug Russell and were even treated to some squares called by Dave Duncan and Jim Blair. The silent auction tables were a big hit. They were chock-a-block full of interesting and unique items. There was a children’s picnic table, gift baskets from Fulton’s and the Pakenham Civitan, high quality cookware, artist’s prints, sportswear, a cast iron fire pit and much, much more. Heartfelt thanks go out to the generous people who donated these great items for the auction. Lunch, lovingly made by the church ladies of St. Andrew’s, was served at ten o’clock so people could keep up their strength for two more hours of visiting and dancing. In the enduring traditions of faith, love and community, area children, moms and dads, uncles and aunts, friends and neighbours all helped celebrate this very special 175th anniversary. 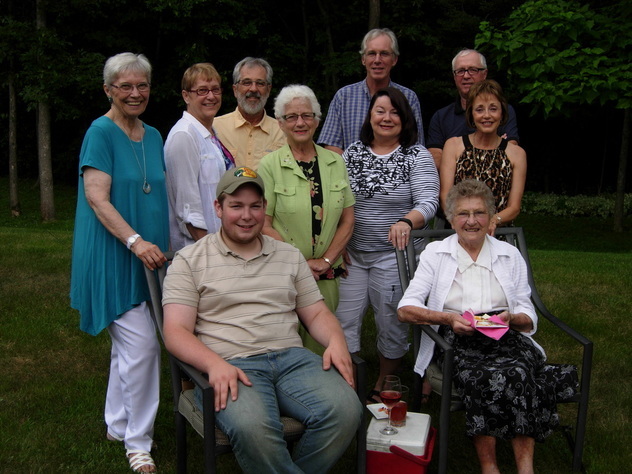 On Saturday, August 1, 2015 the Sanctuary Choir gathered at the home of Ken Souliere and Rhonda Tees for a potluck farewell to Ian Guenette, Director of Music at St. Andrew’s. Ian will be continuing his music studies at McGill University in the fall. McGill has a prestigious music program where Ian will study with some of the finest musicians in the country. We wish him the very best as he continues to develop his prodigious talent. The choir was pleased that Ian’s parents and Rev. Jeff de Jonge could join in the festivities. Ian, we are all looking forward to tracking your progress and future success. The Pakenham Community together again! 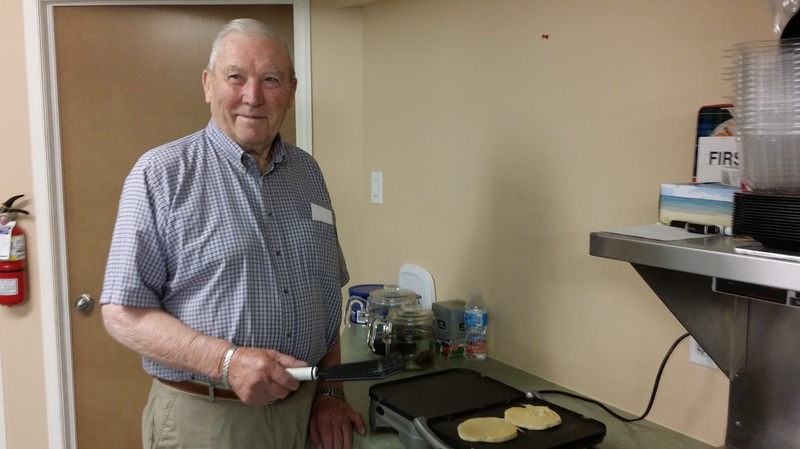 Fish, corn and pie were served to over 300 people at St. Andrew’s annual fish fry on Saturday, September 13, 2015. 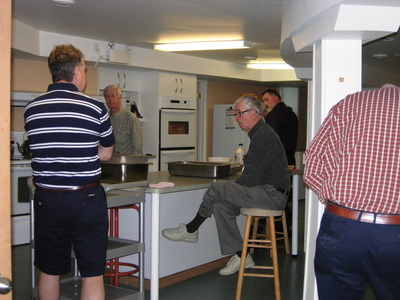 The food was delicious, the volunteers were phenomenal and our guests, who had many compliments about the event, enjoyed catching up with family, friends and neighbours. We extend our heartfelt thanks to the countless people who set up the dining hall, made mountains of coleslaw, designed centerpieces for the tables, sold tickets, greeted our guests with a smile, managed the flow of people, cut over 50 pies, served food, waited tables, kept coffee cups full, scraped plates, supervised the kitchen goings on, managed take out, and cleaned up after the event. Without you we have nothing. Special thanks go out to: Barb Armstrong and Lisa Gillan who managed the event; the Hudson family who so generously donated, shucked and cooked very delicious corn; Joan Gillan and her family who set up and ran Take Out Corner; the General Store that generously delivered pies to us just as we ran out; our tireless runners Colin McCann and Jay Gleeson who ran and ran and ran to keep the steam trays full. Avery Stanton, Blake Gillan, Caitlyn Russell, Coleman Sly, Colleen Russell, Jaclyn Gillan, Kathryn Stanton, Liam Cavanagh, Lindsay Gillan, Nicole Gillan, Robyn Stanton, Skyelyn Stewart, Taylor Gillan, Will Sly, Ysabella Stewart. 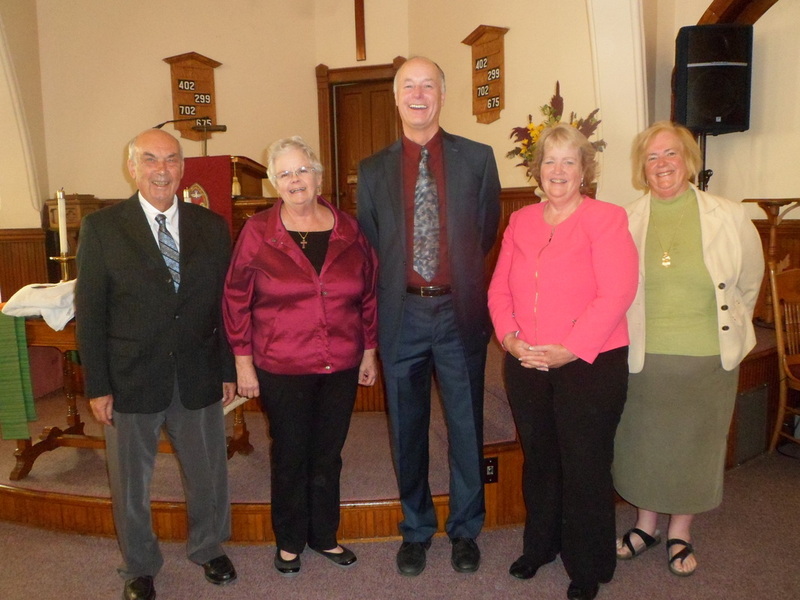 On Sunday, September 27, 2015, despite the glorious fall weather outside, there was a well-attended covenanting service inside St. Andrew's for the Pakenham Pastoral charge. 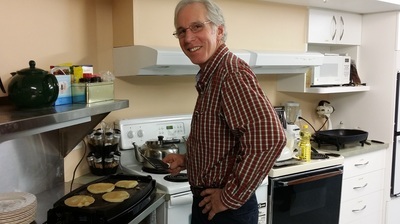 The idea of a spiritual covenant began in the late sixth century and has evolved from what was initially a legal commitment into a formal and sacred way to intentionally enter and ritually enact a relationship - in this case between Jeff, the Pakenham Pastoral Charge and Presbytery. 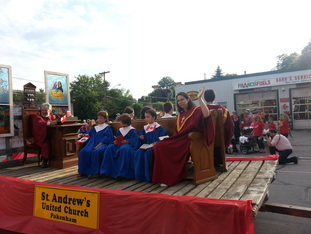 The service was adapted to include former St. Andrew's Ministers. Attendees felt a touch of nostalgia to see the Reverends Heather Kinkaid, Debbie Roi, Camille Lipsett and Barry Goodwin back in the pulpit. Their participation took the form of "interviews" with Sheryl McLeod, Chair of Presbytery, asking each of them two questions. And, although the questions were about the congregations and Presbytery, the answers were a reminder of the unique gifts and perspectives of our former Minsters. With Barb Armstrong, on piano and David Sale, on oboe the choir provided music leadership for the service. 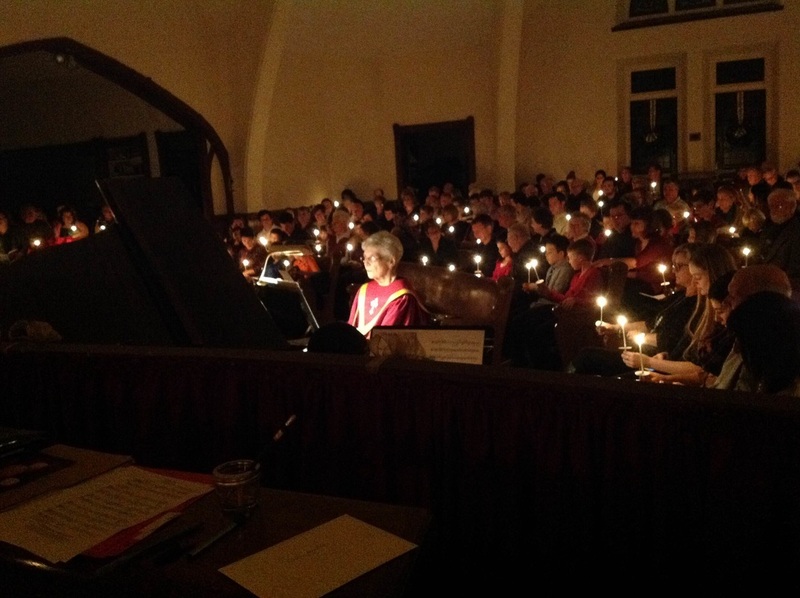 A solo, sung by Rhonda Tees, was particularly poignant. The tune was the well-known Hallelujah by Leonard Cohen but the lyrics, written in the St. Andrew's sanctuary, were by Debbie Roi. The service was followed by a reception - no surprise there - where guests enjoyed tea breads, fruit, cheese and crackers and vegies and dip. This mini feast was thanks to the ever-present, eternally hard-working people of both congregations. In particular, we send our thanks to the following people who set up, served and worked clean up duty: Barb Armstrong, Margie Argue, Marilyn Snedden, Marion Fitzgibbon, Mary Ellen Boon, Michelle de Jonge, Muriel Lawson and Shirleen Duncan. 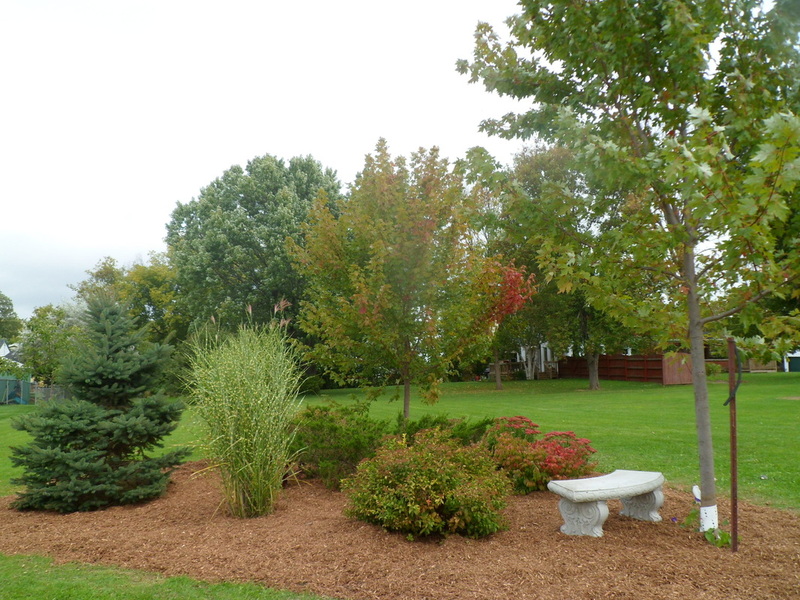 Marilyn and Robert Snedden and Ken Souliere spent the morning on Monday, September 28, 2015 putting the Tribute Garden to bed for the winter. 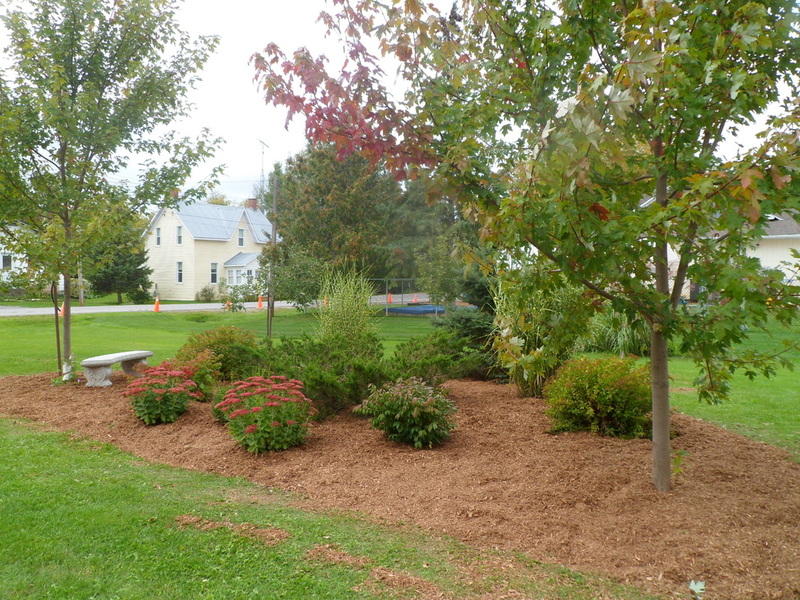 Thanks to the generosity of Linda and Don Lowe of the Linda Lowe Daycare two loads of rich, fragrant cedar mulch now blanket the freshly weeded garden. And thanks to Don for loading the mulch into the Snedden truck with his front-end loader for transport around the corner . As December blossomed into a new month The Grinch was out and about trying his nasty best to ruin Christmas for the community. He first showed his ghastly green face at the Santa Claus parade and then at St. Andrew's Sunday service. Thanks to the Sunday School children disaster was averted when they invited him to share in their celebration of the true meaning of Christmas. ​Take a look below at the going's on. Christmas Eve services, both the family service at 4 pm and the candlelight service at 7:30 pm, were attended by many families from the community and beyond. 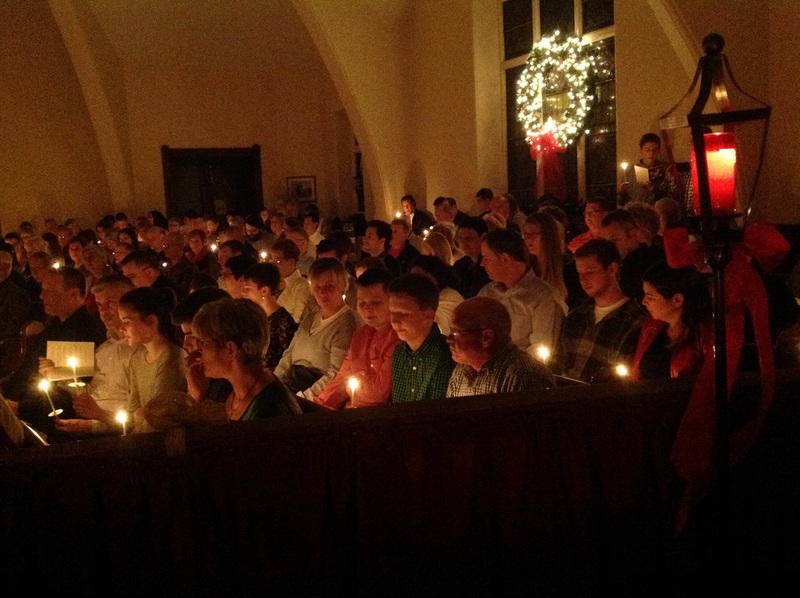 The sanctuary, filled with flickering light, was a beautiful reminder of God's light in our world.